Birth is powerful, profound, beautiful, messy, and real. The day you meet your baby for the first time is a day that will impact you for the rest of your life. Not only is a baby born, but a mother is born as well. Regardless of what “type” of birth you have – whether you’re birthing in hospital, at home, having a planned Cesarean, or anything in between – these moments are incredibly important, and worthy of being documented. My goal as your birth photographer (or videographer) is to authentically capture how your birth story unfolds, and to create art that you can look back on and cherish for life. My aim is to create artful images of you and your family, just as you are. My sessions are a mixture of posed and candid – of course, we want to get those picture perfect smiling portraits, but I also want to capture the way your child laughs, the movement and beauty of you interacting naturally as a family, and the tangible love you share. I want you to be able to look back and remember how beautiful you looked and felt while you were carrying your little one, or remember how it felt to hold your toddler when he was still small. 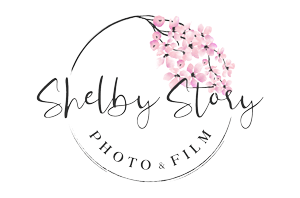 As I keep my availability limited, I am able to be fully invested in making your photo experience as stress free and personalized as possible.